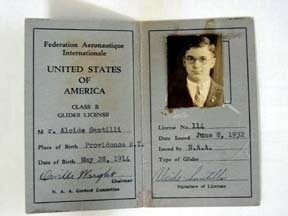 How may people do you know that have had their licenses signed by Orville Wright? The subject of this short bio is one - Al Santilli, also known as the Big Little Man. Al was frequently seen at the early national soaring contests in Elmira. In his pocket he had his Class "B" Glider license, #114, signed by none other than Orville Wright! Al was an amazing man in many ways. One day some Japanese visitors were attempting to get their words across at the gliderport and not having much success. Al approached, put out his hand and welcomed them in Japanese. 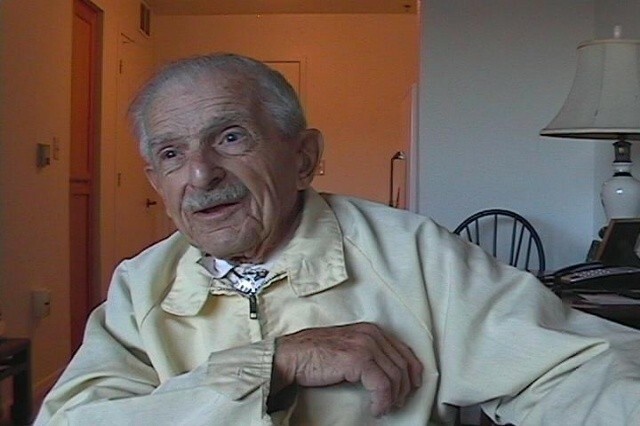 He had learned the language during World War II when he was stationed in the Pacific area. Another time some visitors from Germany came by and he conversed with them in fluent German. He also knew Italian and Morse Code. Al earned his engineering degree from Brown University in Providence, RI and developed a "Mr. Spock" logical way of thought. He competed in the early contests including 1932. He remembers these contests as "getting together to explore the countryside, rather than to show individual polish." Al had an interest in meteorological research as it pertains to soaring. While others were involved in exploring the high altitude wave, he went to another extreme of altitude and explored rising air currents near the ground. As he said, "We're finding if you do certain magic things by meandering through these currents, and being lucky, and being in the right place at the right time, you can go an extra 20 or 30 miles." His students were convinced he had found this "magic" because often he would take a tow in mid afternoon and not return to the airport until all others had landed. Al was the recipient of the FAA's Wright Brothers Master Pilot Award which, among other things, requires fifty years of flying. 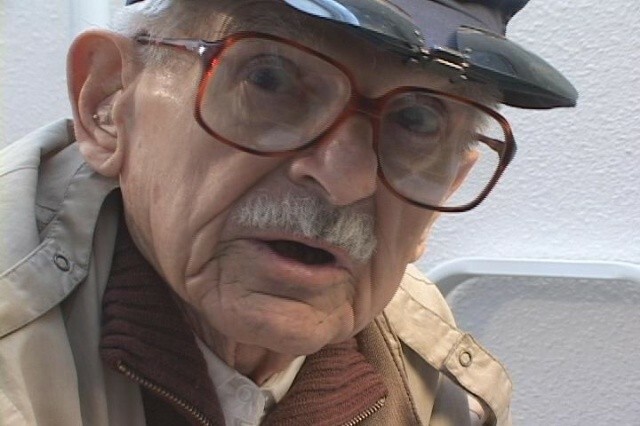 He was also a Designated Pilot Examiner. After eight hours of oral exam and ground school, the applicant was significantly better informed than when he had started the exam. 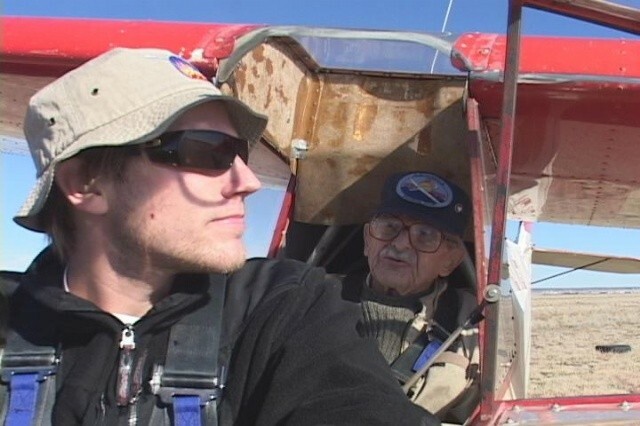 Al continued flying until age 93. He held Silver #88 (1947), Gold #536 (1970) and Diamond #190 (Intl #972 1971). He received the Tuntland Award in 1972, the Schweizer Award in 2001 and, SSA's most prestigious Award, the Eaton Memorial Trophy in 1998.